Stanwood Science has burned to the ground, and with it, the cure to the zombie apocalypse, but not all hope has been lost yet. Broadway Laboratories has constructed a guide to survive this plague taking over our great nation, and promising attempts at a cure have been tested in the facility, but both were lost during the city’s evacuation. Can you scour the building and find all the articles before the previous tenant has your team for lunch? *Room retired as of March 14th, 2019. A deadly virus has been released, causing an outbreak of the dead becoming...undead. Zombies. You must find the cure, but there's a catch. Before the virus was accidently released, Dr. Stanwood was testing on a zombie that he had locked up in his office, but it seems that the cage is starting to fall apart! You only have one hour to locate the cure before the zombie is released from its confindment, in which no one will get out alive. *Room retired as of March 25th, 2018. On the corner of Broadway and 36th sits an adbandoned building that is rumored to be haunted by the things of nightmares. Today, you decide to enter the building just to take a look around. Once inside, the door slams closed behind you and to your horror you find that it is locked! As you struggle with the door, a breeze brings the faint sounds of screams, sinister laughing, and the smell of rotting flesh. Can you find the key to open the door and escape your worst nightmares, or will you become the haunted, too? *Room retired as of November 13th, 2017. 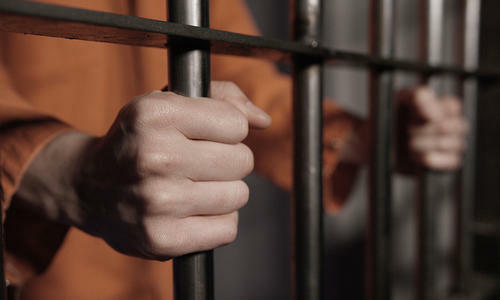 An inmate has been wrongly imprisoned and needs your help in proving his innocence. He has been accused of robbery, but with a witness confirming him at the scene of the crime and absolutely no alibi in sight, there's no way for him to prove that they didn't do it. Can you break the prisoner free of his sentence before time runs out? *Room retired as of October 2nd, 2017.